Apples are one of the best Fall foods. 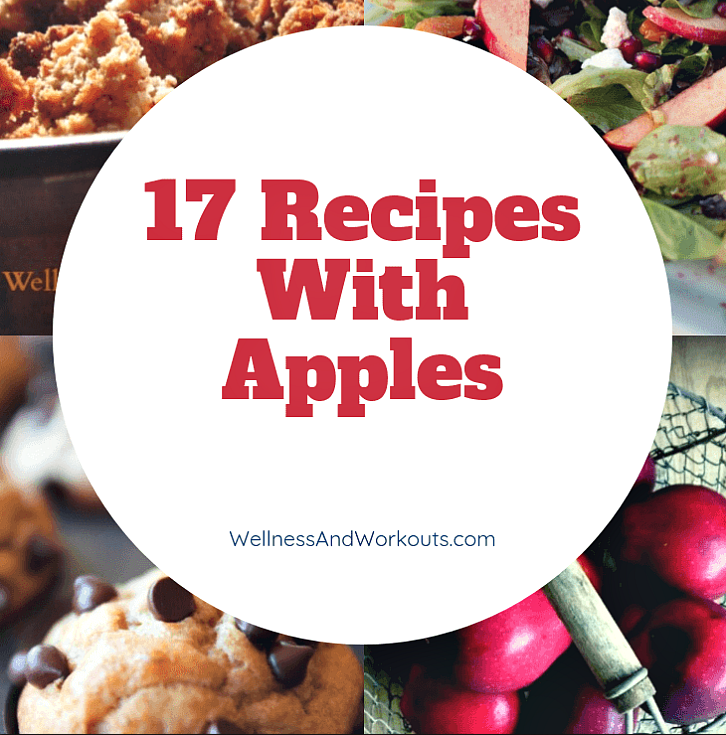 Recipes with apples send the smell of apples all through the house. The scent of apples baking in the oven, cooking in a pan, or steaming in a crock pot are second only to the delicious taste and texture of this delicious fruit. I have pulled together a collection of delicious looking apple recipes from some of my favorite real-food bloggers. 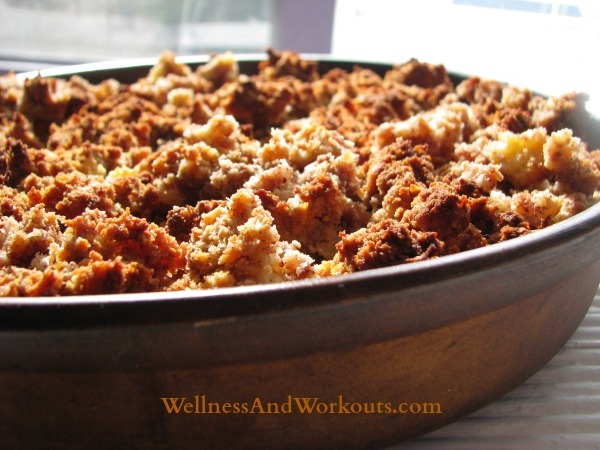 Apple crisp recipes are one of my favorite recipes with apples... Here are three to try. I used to love to make the Pampered Chef's Easy Apple Crisp Recipe, before we went gluten free, and on the GAPS Diet. So I just re-made the recipe, so we can eat it again. It is just as good as ever. I call it my best apple crisp recipe. Perfect for the holidays, this Apple Cranberry Crumble is a fun alternative to regular apple crisp recipes. I love a different twist on a classic recipe. This apple macadamia nut crisp from Real Food Kosher looks wonderful! My second-oldest daughter Gaby created this wonderful recipe for apple cinnamon date bars. They're like Lara Bars, but without the nuts. Perfect on AIP! To start out this collection of recipes with apples, I've found four great looking applesauce recipes! Real Food RN has created this GAPS and Primal friendly recipe for apple sauce that looks delicious. Scratch Mommy has found a way to make apple sauce at home with this healthy crock pot applesauce recipe. The bloggers at Oh Lardy! have their own special way of making crock pot applesauce. 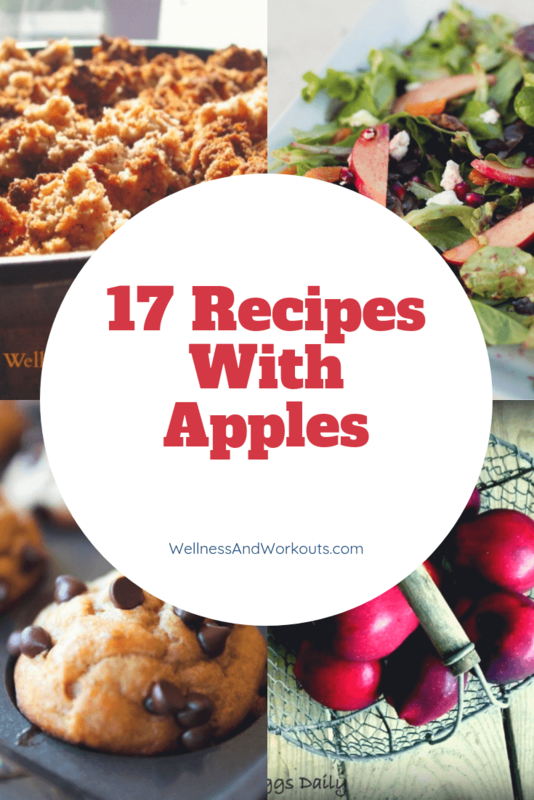 Check out their homemade applesauce recipe! Sylvie of Hollywood Homestead offers a simple, wholesome recipe for warm cinnamon applesauce that she shared in a guest post at Homemade Mommy. Mindful Mama has created a pear plum apple sautee recipe that is legal even on the intro of the GAPS Diet. Homegrown in the Valley has a guest post from Lisa at Fresh Eggs Daily that can teach you how to make your own apple cider vinegar. I have wanted to try this, and am happy to have found a recipe for it. For the Love of Fiber had a yummy looking way to make Apple Pumpkin Butter (she seems to have removed it, this link goes to an archived version of the page). You can substitute date sugar as a sweetener to make it GAPS legal. 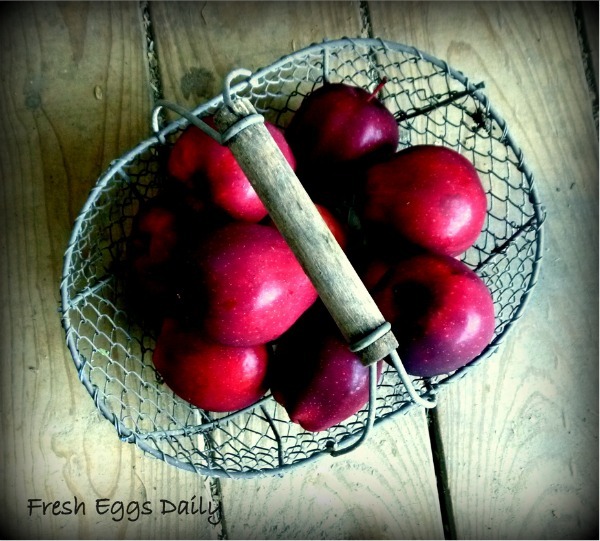 The Organic Kitchen always has the most beautiful photos of her recipes, and her apple salads look gorgeous, don't they? Here is her chopped apple salad with vinaigrette. And if you thought the last salad looked good, look at this! These greens with pomegranate vinaigrette, also from the Organic Kitchen, look amazing! Whole Green Love has created a sweet and savory Apple and Bacon Salad. Whole Green Love has also come up with a Fall Tea Infusion that is sure to bring your green tea to the next level. The batter for these Apple Cinnamon Waffles from Real Food Outlaws can also be used to make pancakes. This apple pocket recipe from Life Made Full looks like something I want to try after we transition off the GAPS Diet. Yum! Here's a bonus recipe: I said there were 17 recipes here, but this one actually brings the total to 18! I hope you've enjoyed looking over this collection of recipes with apples, and have discovered some new blogs you had not seen before. If you try any of these recipes, please leave a comment, below, and let me know how they turned out! Photo by Lisa of Fresh Eggs Daily.